The natural action of CLA is found in speeding up the body's fat metabolism. 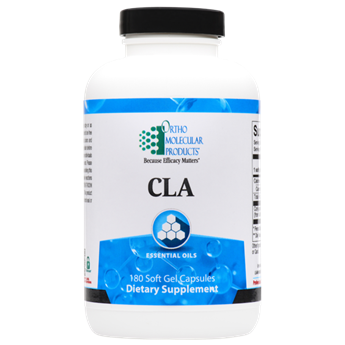 When combined with moderate exercise, CLA has been shown to support the body in metabolizing existing fat deposits. CLA consists of several chemically similar compounds, or isomers, derived from the natural omega-6 polyunsaturated fatty acid, linoleic acid. The conjugated portion of CLA refers to the biochemical bonds within its structure. CLA has also been shown in a number of studies to have a variety of benefits, which include supporting the immune and cardiovascular systems, maintaining healthy blood sugar and lipid profiles, and supporting healthy body composition. CLA, or conjugated linoleic acid, is an omega-6 fatty acid found naturally in dairy products and meat. Many studies have highlighted the ability of CLA to support a healthy body composition and ratio of body fat to muscle, as well as building lean body mass. CLA has also been found to support healthy blood sugar and insulin signaling, as well as to support balanced levels of inflammation. Each capsule of this CLA formula includes 780 mg of CLA providing effective dosing for metabolic support.